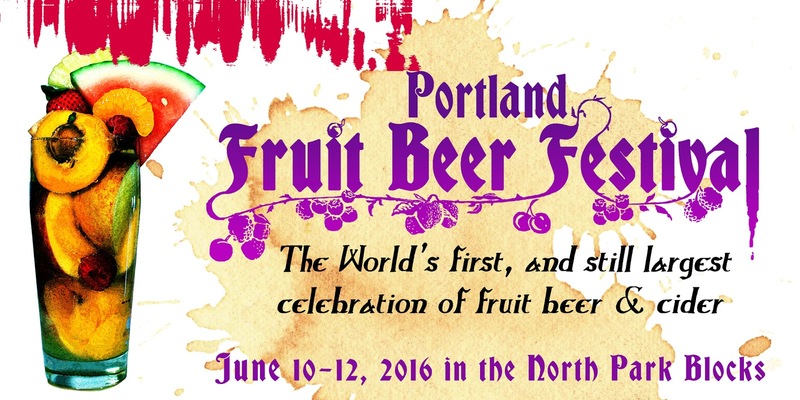 This week's marquee event is the Portland Fruit Beer Festival, returning for its sixth year. As you may know if you're reading along, this event has been its own worst enemy due to overwhelming popularity. The space next to Burnside Brewing hasn't been adequate in recent times. Which is why organizers are pleased to announce the festival is moving to the larger, shadier North Park Blocks this year. The expanded venue will provide space for additional beer and cider offerings, more food options, more music and more places for attendees to just chill. The festival happens this weekend, June 10-12. It's worth mentioning that, along with the larger more user-friendly venue, event hours are also expanding. In previous years, Friday hours were short or non-existent. But they're open three full days this year. Spreading out the anticipated crowds is a good thing. General Admission packages start at $25 ($27.40 online) and include a branded festival cup and 12 drink tickets. Advanced ticket holders or those who arrive early Friday will receive an extra 3 drink tickets. Tastes of beers and ciders go for 1-3 tickets. Additional tickets cost $1. Another new feature this year is the Burnside Can Garden, which will be located inside the festival. Want to escape the crowds and drink something other than fruit beer? Enter the Can Garden, where they'll be serving Burnside Couch Lager and IPA in cans. Hey, not a bad idea. 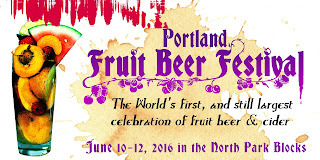 The primary reason this event has generated such enthusiasm in recent years is the beers. They are typically unique interpretations of what you can do with fruit and beer. I missed the media preview the other night due to another commitment. But the list is impressive, as always. Obviously, the elephant in the living room is the new venue. The Burnside folks had been thinking about moving to a larger venue for several years. It didn't happen because they were comfortable using their own space, which they expanded and made about as user-friendly as possible. But all things must pass and it was time to move onward and upward. Understand, the move is not without risk. The new space is more costly and the logistics are tougher. The event must grow to justify it. If the weather doesn't cooperate or if fans don't show, organizers could find themselves upside down. It's unlikely, but that's how these things work. As always, there's a lot more information on the event website here. I'm not sure if it's still the case, but they were looking for more volunteer servers the other day. Extra tickets were part of the deal. That may no longer be the case. Visit the website for info.